The Mental Illness Awareness Week blog, sharing stories of recovery, personal experiences, and mental health/mental illness news. The law affects nearly every aspect of our lives. We have laws that regulate common activities such as driving a car and renting an apartment and laws that deal with crimes such as robbery and other threats and challenges to society. The criminal justice system represents any interaction with the justice system from police officers, court rooms and prisons to state run rehabilitation programs, probation services and half way houses. The economic impact of the criminal justice system in Canada represent an average cost of incarcerating of a federal prisoner per day is $259.05. Given that the length of stay in a federal penitentiary is a minimum of 2 years, each inmate costs the Canadian taxpayer $189,106.50 annually. The goal of the criminal justice system should always be rehabilitation and reintegration to life outside of prison. However, the number of people with mental health problems entering the criminal justice system has been increasing, and the prevalence of mental illness in prisons is significantly higher than the general population. Canada’s jails and penitentiaries are rapidly becoming the largest mental health providers in the country. Mental health care in Canadian jails and prisons is insufficient and many offenders with mental health concerns are moved into correctional segregation for protection due to their inability to cope with regular prison settings. Individuals being released from correctional institutions, who report experiencing stigma due to their criminal justice involvement, find themselves being ‘bumped’ or ‘overlooked’ by community mental health services. Take Trevor as an example. Trevor has been in and out of jail since he was a teenager, and is now 35 years old. He has been diagnosed with fetal alcohol spectrum disorder, schizophrenia, and antisocial personality disorder. He also has an acquired brain injury. While living in a halfway house, Trevor’s mental health care professional helped him to gain employment through a supported employment agency for persons with mental illness. Trevor was able to develop a personal daily routine that included going for walks, reading, and cooking for himself. The mental health care professional educated Trevor to help him better understand mental illness, and has taught him coping skills to help adjust to life outside of prison. With the available research evidence showing the effectiveness of services for people with mental health problems, and improved mental health reducing involvement with the criminal justice system, “the issue is not whether effective treatment exists but whether it is consistently available to the people who need it, and whether or not these individuals continuously avail themselves of treatment” When the services are available and an offender has access to them, the return to life outside the criminal justice system can be successful. There is a need for federal investment to insure that a vulnerable population is not left without the mental health services they need. Equitable access to psychological services across Canada for people living with mental health problems and mental illnesses does not exist! The availability of different forms of treatment varies greatly from place to place. The services of psychologists are not funded by provincial health insurance plans which make them inaccessible to Canadians with modest incomes or no insurance." This is in spite of the fact that some of the most effective treatments for common mental disorders are psychological ones like cognitive behaviour therapy. Antipsychotic drugs have proven to be crucial in relieving the psychotic symptoms of schizophrenia and psychosis (hallucinations and delusions). But they are not consistent in relieving the behavioral symptoms of the disorder. Many still have extraordinary difficulty with communication, motivation, self-care, and establishing and maintaining relationships with others. Moreover, because patients with schizophrenia frequently become ill during the critical career-forming years of life (ages 18 to 35), they are less likely to complete the training required for skilled work. As a result, many with schizophrenia not only struggle with thinking and emotional difficulties, but lack social and work skills and experience as well. It is with these psychological, social and occupational problems that psychological and psychosocial treatments may help most. Numerous forms of psychosocial therapy are available for people with schizophrenia, and most focus on improving the patient’s social functioning — whether in the hospital or community, at home or on the job. Some of these approaches are as follows. Rehabilitation. This includes a wide array of nonmedical interventions for those with schizophrenia. Rehabilitation programs emphasize social and vocational training to help patients and former patients overcome difficulties in these areas. Programs may include vocational counseling, job training, problem-solving and money management skills, use of public transportation, and social skills training. These approaches are important for the success of the community-centered treatment of schizophrenia, because they provide discharged patients with the skills necessary to lead productive lives outside the sheltered confines of a mental hospital. Individual psychotherapy. This involves regularly scheduled talks between the patient and a mental health professional such as a psychiatrist, psychologist, psychiatric social worker or nurse. The sessions may focus on current or past problems, experiences, thoughts, feelings or relationships. By sharing experiences with a trained empathic person — talking about their world with someone outside it — individuals with schizophrenia or psychosis may gradually come to understand more about themselves and their problems. They can also learn to sort out the real from the unreal and distorted. Recent studies indicate that supportive, reality-oriented, individual psychotherapy and cognitive-behavioral approaches that teach coping and problem-solving skills, can be beneficial for outpatients with schizophrenia. However, psychotherapy is not a substitute for antipsychotic medication, and it is most helpful once drug treatment first has relieved a patient’s psychotic symptoms. Family “psychoeducation,” which includes teaching various coping strategies and problem-solving skills, may help families deal more effectively with their ill relative and may contribute to an improved outcome for the patient. Very often, patients with schizophrenia are discharged from the hospital into the care of their family; it is important that family members learn all they can about schizophrenia and understand the difficulties and problems associated with the illness. It is also helpful for family members to learn ways to minimize the patient’s chance of relapse — for example, by using different treatment adherence strategies — and to be aware of the various kinds of outpatient and family services available in the period after hospitalization. 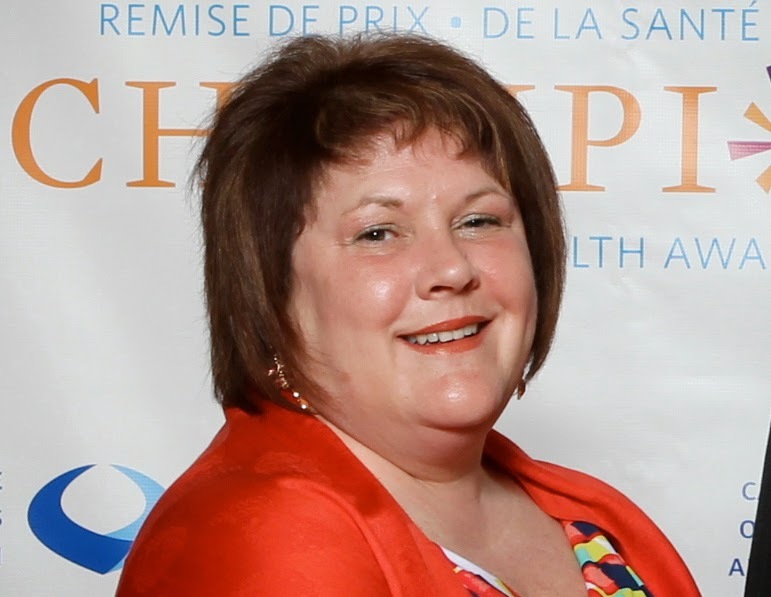 As Co-Chairs for the Canadian Alliance on Mental Illness and Mental Health (CAMIMH), it is our privilege to introduce the new CAMIMH Campaign Chair for 2014: Florence Budden! Florence brings an enthusiasm to the role that will surely translate in the campaigns this year and will undoubtedly inspire more Canadians to join the conversation. -Dave Gallson and John Higenbottam, CAMIMH Co-Chairs. Hello! My name is Florence Budden and I am a psychiatric nurse from Newfoundland and Labrador. It is my pleasure to introduce myself today as the 2014 Campaign Chair for CAMIMH. I began my nursing career in NL at the Waterford Hospital in 1988 after graduation from Memorial University School of Nursing. In 1998 I began teaching at the Centre for Nursing studies where I teach mental health clinical to Bachelor of Nursing and Practical Nursing students along with other teaching that includes health promotion and seniors care. I am certified by the Canadian Nurses Association as a psychiatric/mental health nurse. In September, 2012 the Canadian Nurses Association recognized me as a nurse to know in the area of mental health. I have been a volunteer all my life. In 1999 I became involved with the Schizophrenia Society of NL (SSNL). I have held numerous positions with SSNL and the Schizophrenia Society of Canada (SSC) since. These have included, Vice President of SSNL (2002-2004), President of SSNL (2004-2011), Chair of the Advocacy Committee of SSC (2003-2009), to name a few. I am the current President of SSC and also a board member of the Schizophrenia Society of Canada Foundation. I have represented SSC with the Canadian Alliance of Mental Illness and Mental Health (CAMIMH) since 2011. I am involved with the Public Affairs Committee at CAMIMH. In 2013, I was part of the Mental Illness Awareness Faces Campaign selection committee. This connection to volunteer work summarizes why I want to be involved with CAMIMH in my new role as Campaign Chair for 2014. I believe lives can be changed, recovery is possible and the mental health system in Canada can be better, but only if we work together as a country to make this happen. Throughout my life I always believed that I must be the change I want to see in the world. The Champions of Mental Health campaign recognizes exceptional Canadians who have made outstanding contributions to the field of mental health in Canada. Through this campaign CAMIMH can spread the conversation about mental illness through every region. I believe I am well suited in this role because anyone who knows me knows how much I like talking!!! We need to continue the public discussion on mental health and mental illness to reduce stigma and improve access to mental health services. This campaign creates a network of inspiring advocates in mental health and highlights the positive “can do” approach of Canadians. Through the Faces of Mental Illness campaign and Mental Illness Awareness Week (MIAW) activities we will continue the conversation on mental illness and mental health by introducing Canadians to five inspiring individuals who represent positive examples of recovery from mental illness who share their stories to help other people on their recovery journeys and to create an environment across Canada that supports recovery from mental illness. I am very excited to be a part of this year’s campaigns and to help move the mental health agenda forward as Campaign Chair for 2014. This blog is a place to exchange ideas and express opinions. The contents are for information purposes only. The views expressed are those of the authors, and do not necessarily reflect the views of the Canadian Alliance on Mental Illness and Mental Health.